At the Oregon Coast, wind and rain are the norm, so I was thrilled to have such calm weather when I went to Canon Beach last weekend for my friend Chelsea's bridal shower/bachelorette party. 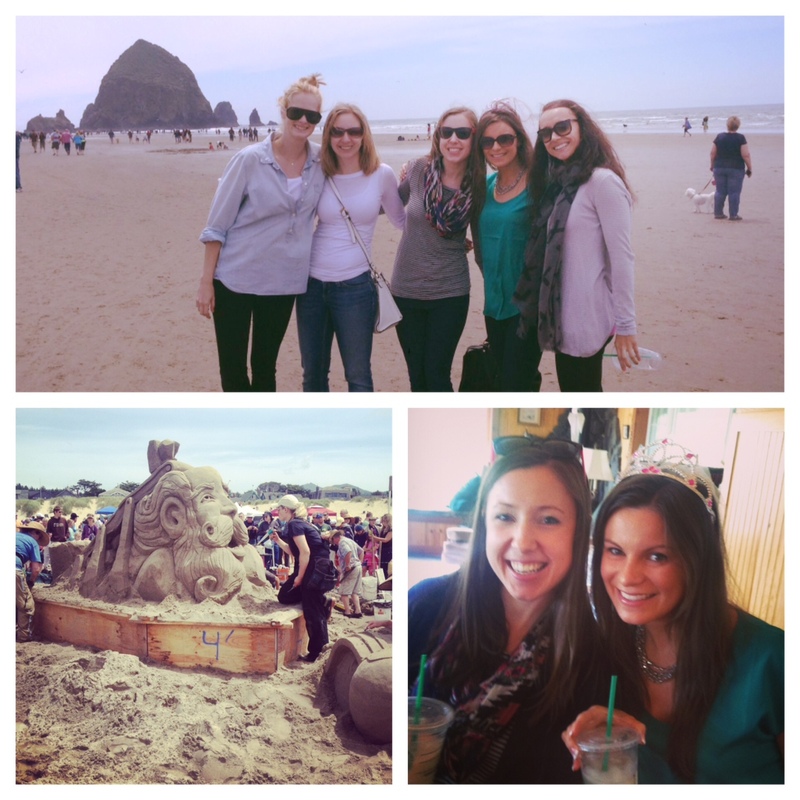 A group of us stayed in a house, not unlike what I'm planning for Liz's bachelorette in CA later this month. Ack! Still need to figure out a few last minute details for that. I've decided this summer is "the summer of the wedding." At one point between July and August, I have weddings four weekends in a row! I've been stalking Rent the Runway and trying to decide if I should recycle old dresses or splurge on a one-time designer rental. Decisions, decisions. Here are a few of my faves. One of my favorite parts of RTR is that they have customer photos for all the different dresses. You can see how they look on other women with your skin tone, body type, etc. which is sometimes hard to do when shopping online. Wow, you do have a lot of weddings this summer!! Love these dresses you have picked out! Hope you get to wear one...or all four! :-) Thanks ofr your input on the Clarisonic. I really appreciated it!